Good condition medal. Late war / post war production in the dull black finish. 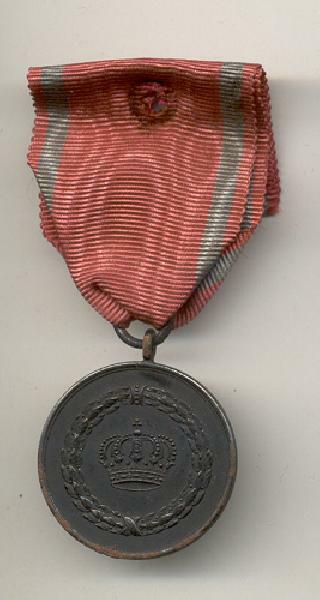 Medal shows patina and light corrosion. 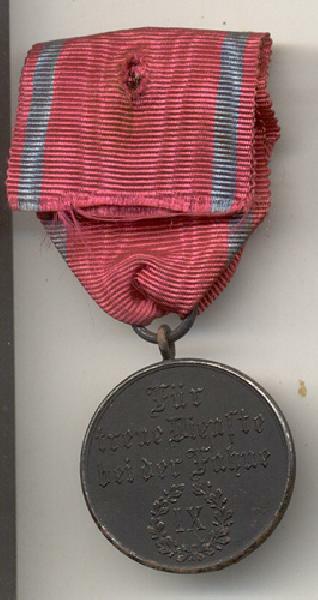 Fair condition ribbon which appears to have been mounted on a display because it has an approximate 1/8 inch hole in the ribbon.